This is the year of Rajinikanth, for sure. After two film releases - Kaala and 2.0 - fans of Thalaiva should rejoice as the trailer of his upcoming film Petta hit the Internet today. Petta, directed by Karthik Subbaraj, rests heavily on Rajinikanth's swagger (which is in abundance in the trailer) and power-packed performances by Nawazuddin Siddiqui, Vijay Sethupathi, Trisha Krishnan and Simran Bagga. Rajinikanth plays the role of a hostel owner, who has a dark past. He doesn't come across as a person one should cross. The two-and-a-half minute trailer has several crisp action sequences. Petta is slated for Pongal release. 2018 has been exceptionally kind to Rajinikanth and his fans. His first release of the year - Kaala fared reasonably well at the box office, however, 2.0, the release of which was delayed by at least two years, eared big bucks for the filmmakers at the box office. In Kaala, Rajinikanth played the role of a local goon operating out of Mumbai's Dharavi slum area. He is a menace for a local politician who wants to replace the slums with proper residential complex. But Kaala knows better than to fall in a corrupt politician's trap and gives a tough fight to protect his people. Kaala had high political overtones. In 2.0, sequel to Enthiran, Rajinikanth reprised the roles of Dr Vaseegaran and robot Chitti, who team up to protect the human race from the wrath of Dr Pakshirajan, an ornithologist who was against the unregulated usage of cell phones as he believed it harmed the birds. 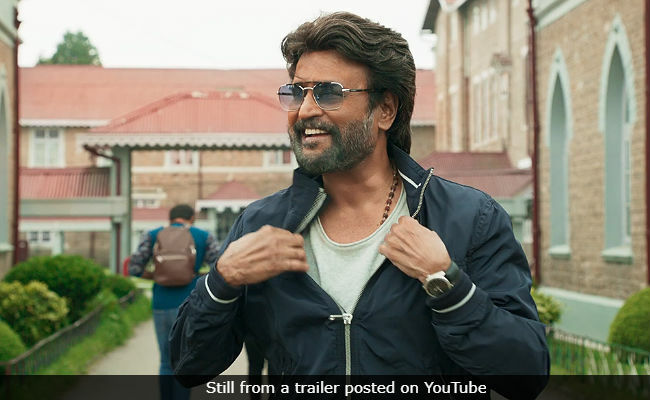 Petta, the trailer of which released today, appears to be very different from both, Kaala and 2.0, as it has more of drama and romance. Petta will open in cinemas in January 2019.